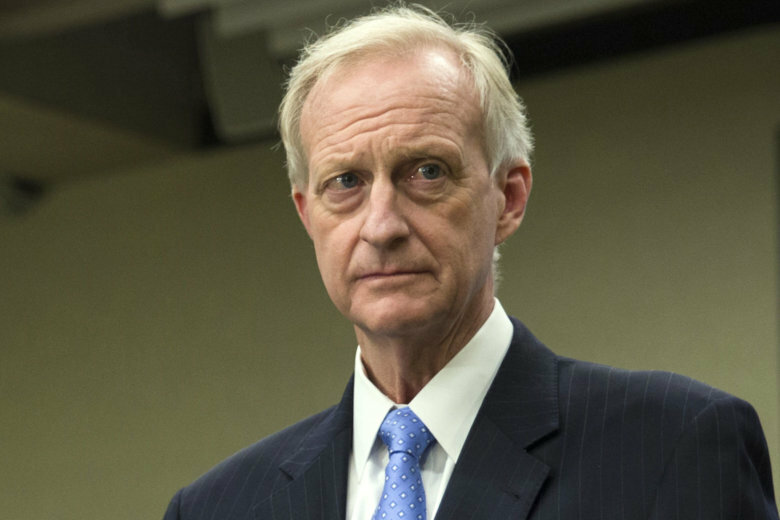 The D.C. Council on Tuesday voted unanimously to formally reprimand Council Member Jack Evans after allegations the longtime District lawmaker used his public office for personal gain. Going beyond the official reprimand, D.C. Council Chair Phil Mendelson also stripped Evans of his responsibilities on the powerful finance committee, specifically in the area of tax abatements. Evans was also removed from his position overseeing EventsDC and the Commission on Arts and Humanities. But Mendelson said he would not remove Evans from the council without an investigation. “What is before us is discipline and anyone who might suggest that this is not painful, should put themselves in Mr. Evans’ shoes,” Mendelson said. Before the vote to reprimand him, Evans offered an emotional apology to his colleagues and D.C. residents. “I have brought embarrassment to this council, to myself and my family — that being the most painful part of all of this,” Evans said. Evans, the council’s longest-serving member, has been under fire for weeks after reports emerged he used his government email to seek business opportunities with law firms that lobby the D.C. government. Evans, who has represented Ward 2 on the council since 1991, had earlier apologized this month, acknowledging he made “major mistakes” in his business dealings. A federal investigation into potential misconduct centering on Evans’ relationship with the owner of a digital sign company, has resulted in subpoenas being issued to the full D.C. Council and the office of D.C. Mayor Muriel Bowser. Some of Evans’ colleagues on the council have said the formal reprimand doesn’t go far enough. David Grosso, an at-large member of the council, has called for a special committee to investigate Evans.